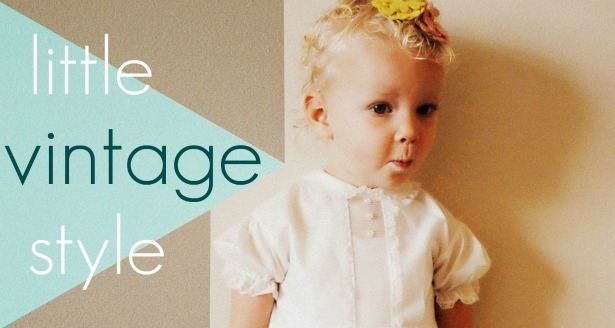 Welcome to Little Vintage Style, a place to show off your sweet little ones wearing vintage! Link up every Wednesday, and make sure to click around and say 'hello!' 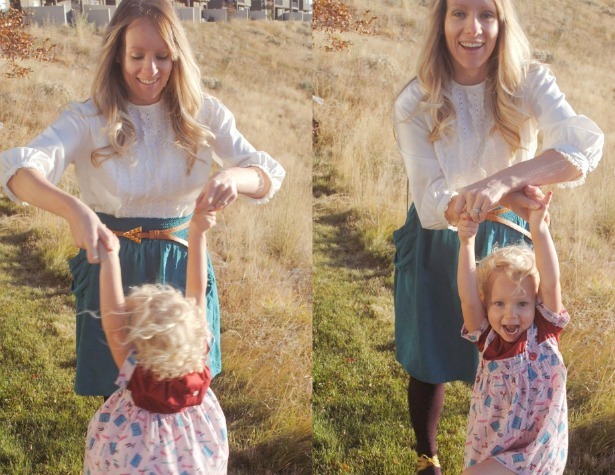 to all of the other vintage lovin' mamas like you! Today we are traveling out of town to stay with family for Thanksgiving until early next week. I plan on stuffing my face, sneaking in a nap or two along with the baby, and enjoying lots of quality time with Husband. That is what I love the most about the holidays - he is home with us! Can't get enough of that man. These pictures were taken on a late Sunday afternoon. 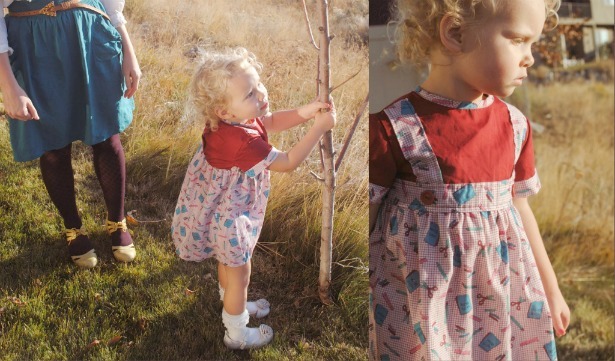 I pulled this cute school-themed dress from the shop after it hadn't sold in a year or so... which surprised me because I love this dress and the print is so fun - I guess I was meant to keep it! 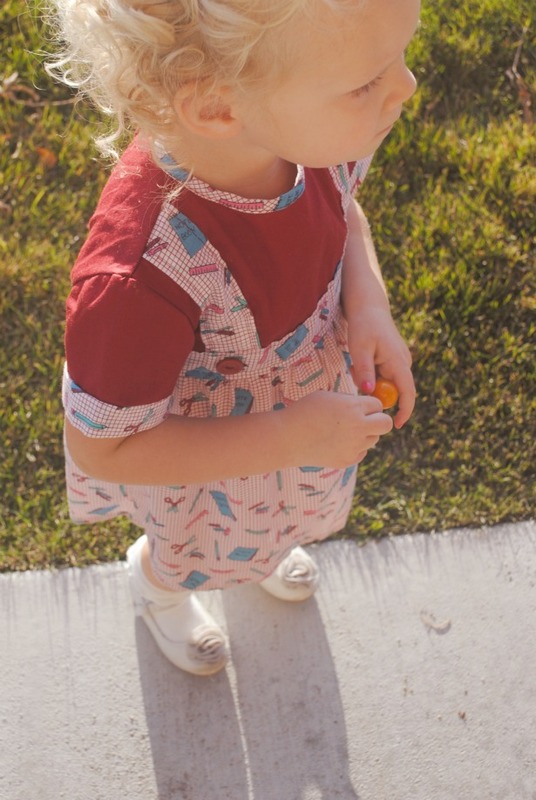 Such a sweet dress- so cute on her! Have a great Thanksgiving! you both look adorable, enjoy your vacation time with shawn and the girls! 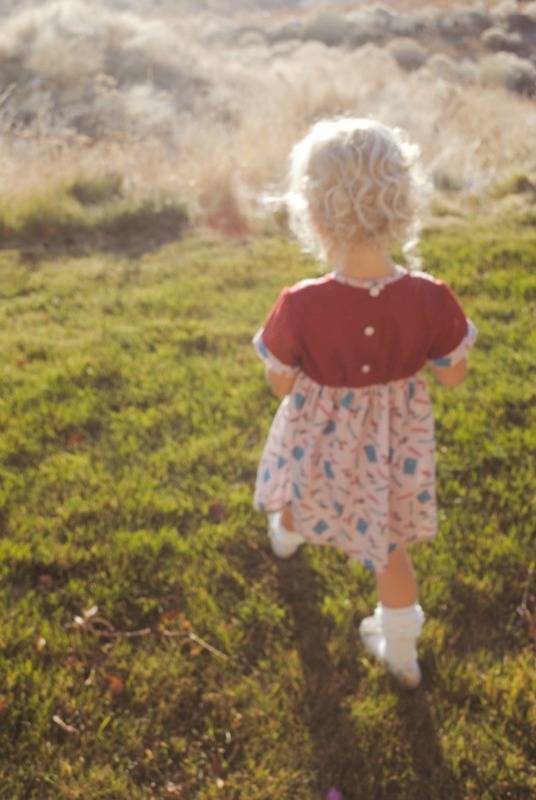 such a sweet dress, I'm surprised it didn't sell too...if only I had small girls. Happy Thanksgiving from someone who got to celebrate it once when I spent a year in San Francisco. I love your outfit in the pics too. You know I ummed and ahhed over that dress many times - it really is sweet. But I think you were meant to keep it, it is perfect on little miss! so sweet! happy thanksgiving to you and yours! !